Roadside attractions that are free to the public are rare indeed. When they come in the form of a giant blue whale, you’ve hit nirvana! Next time you’re thinking of taking a road trip, try Route 66. 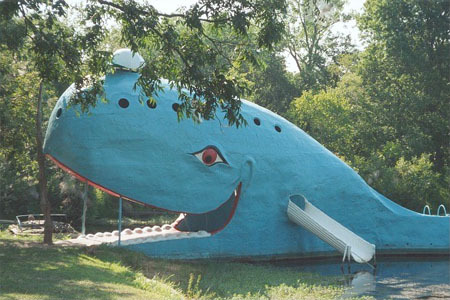 The Blue Whale is just one of many niceties that you’ll find along this old road!